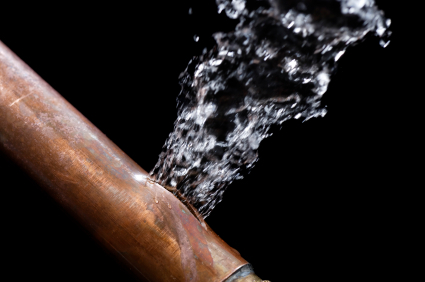 The time to take precautions when you discover a leak in the home is sooner than later. Each day that you allow the water leak to continue you run the risk of doing more damage inside the home. Leaks in the ceiling or walls are an indication the problem is so severe that the pooling water has compromised the integrity of those materials and leaked into the home. Water will continue to damage surrounding areas until you find the source of the leak and make the repair today. How Do I Stop the Leak from Getting Worse? If you can not locate the exact source of the leak, it is important to shut of the water to that areas as soon as possible. If the leak is around a bathroom appliance, you can shut off individual water shut offs that control the flow of water to the sinks or toilet. If the leak is in the ceiling or walls, you may have to shut off the main water supply until you can get the problem addressed. Why is it Important to Fix a Leak Issue? The water will simply continue to leak until it is fixed. if the ceiling has a water spot and is leaking, chances are the water has been traveling the ceiling beams and pooling up inside the insulation. Once the insulation becomes saturated, the water will continue traveling downward. It can be a real challenge to find a leak in the ceiling, and the longer you do not fix it the more damage will eventually occur. What are the Advantages to Calling a Professional Plumber? Your local plumbing professional has made these types of repairs hundreds of time this year already. They have the experience to be able to follow the trail back to the source and make the necessary repair before the damage worsens. Once they have located the source of the leak, they will do an inspection of the surrounding area to determine if the issue is minor or an indication of a much bigger problem. Your plumber will then consult with you on a course of action to make the repair and restore the flow of water through the house. If you have a leak in the home, your best course of action is to allow a professional plumber to find the source and make the repair today. This will ensure your property and your home are protected from further damage. Is there a pesky leak troubling you? Call Dalton Plumbing, Heating & Cooling Inc. today at (319) 266-3513 for quick and effective plumbing services in the Cedar Falls area.